Annual surface temperature according to oceanographic data in World Ocean Atlas (WOA09). 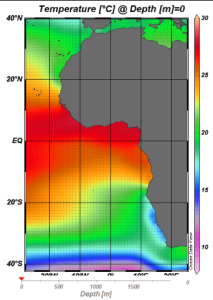 Oceanographic data are showing hight temperatures in the tropical surface waters. However, the striking geographical differences become less when the measurements are taken in the deeper parts of the water column. Click this link to see a rough picture of how temperature changes towards the deeper layers. This entry was posted in environment, software, Uncategorized and tagged software on June 23, 2013 by EW. The University Museum of Bergen has acquired benthic samples from the West African continental shelf in agreement with the Guinea Current (GCLME) and Canary Current (CCLME) Large Marine Ecosystem projects. The first batch of unsorted bottom samples from the GCLME region, weighing 750 kg, arrived in Bergen October 2007. We study hundreds of samples to learn more about the rich species diversity of this region and to compare it with the northern fauna. 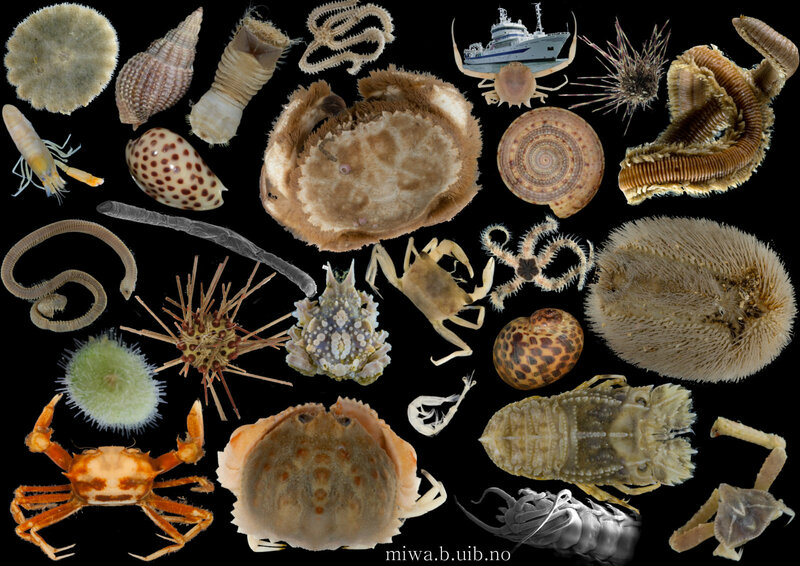 Our permanent web pages can found be here: The Invertebrate Collections. We also have a general blog for the collections, which can be found here (English) and here (Norwegian). For interactive maps, sampling stations and other downloadable information about the MIWA-project, click here. Publications stemming from the work can be found here. We have arranged six training activities on MIWA-material, including multiple species identification workshops, some of which were focusing on particular groups such as mollusks, polychaetes, and brittle stars. A lot of people have been involved to make all of this happen. 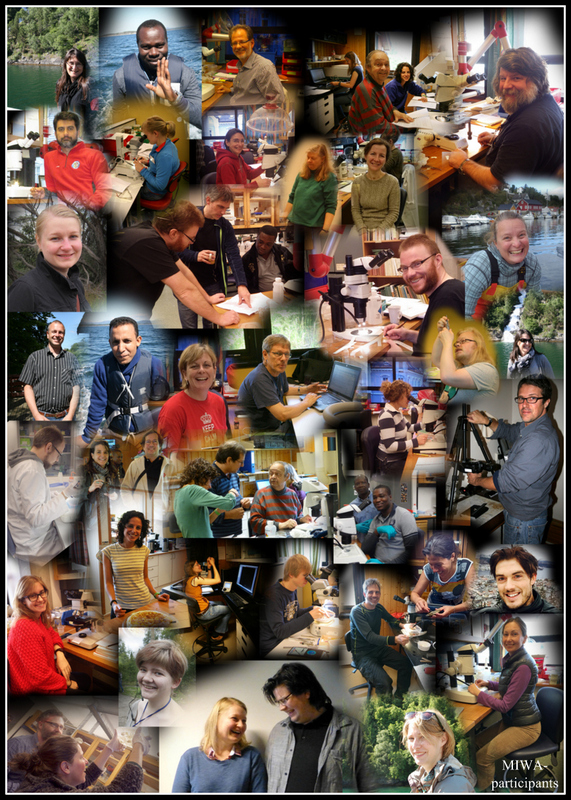 We have been fortunate in being able to attract excellent students and experts alike, and we have hosted over 35 research visits, including scientists from Columbia, France, Ghana, Mauritania, Nigeria, and the UK. An overview of the projects on the different taxonomic groups found here. This entry was posted in MIWA on June 21, 2013 by EW.